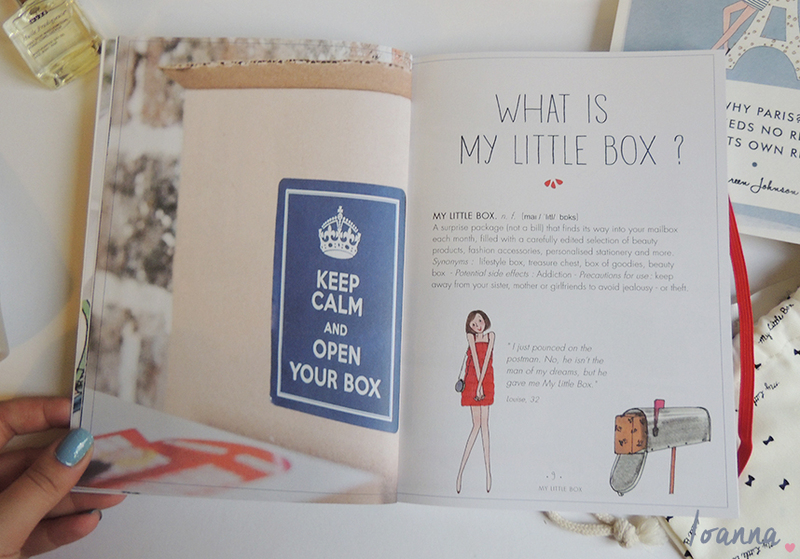 As soon as I read about the My Little Box concept I was hooked on the beautiful illustrations and the fact that it is a box providing a mixture of both beauty and lifestyle items. I didn’t hesitate to register as soon as it became available in the UK as I was simply intrigued. 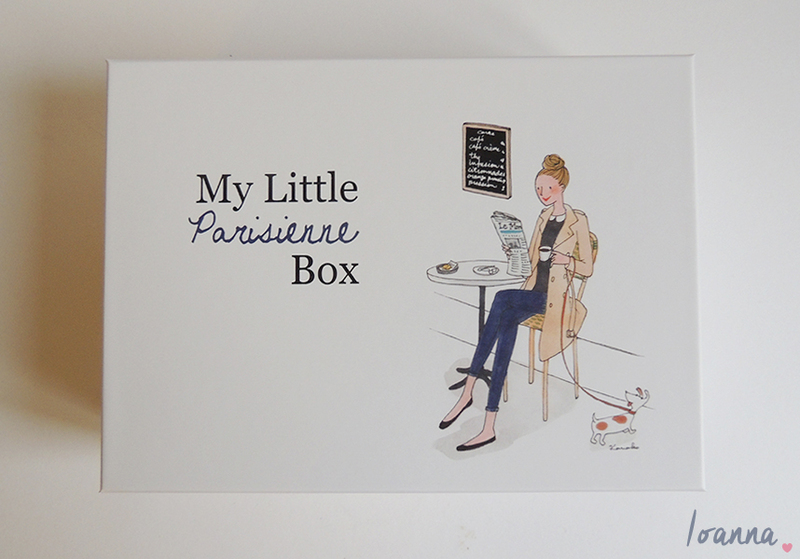 My Little Box is a Parisian beauty, fashion and lifestyle box starting from £13.99 a month (including P&P) which has just launched in the UK providing “fashion, beauty and lifestyle surprises delivered to your door”. 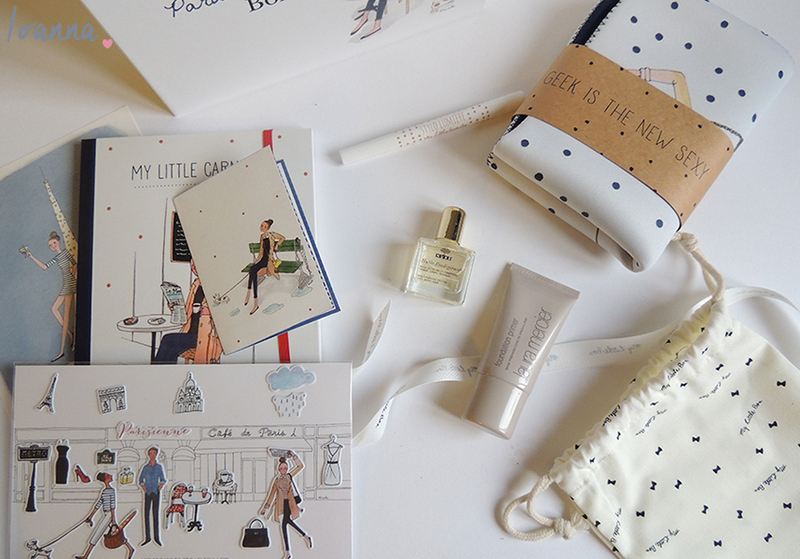 Each month the box is themed and comes with products from well-known brands as well as their own My Little Beauty range, designer accessories, inspirational postcards and stationery. 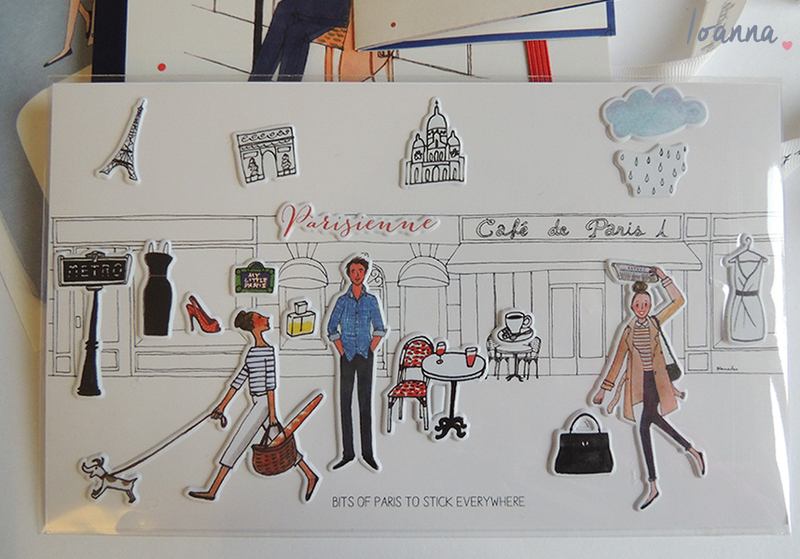 My Little Parisienne Box is the September box, which is a very appropriate theme for the first box in the UK. 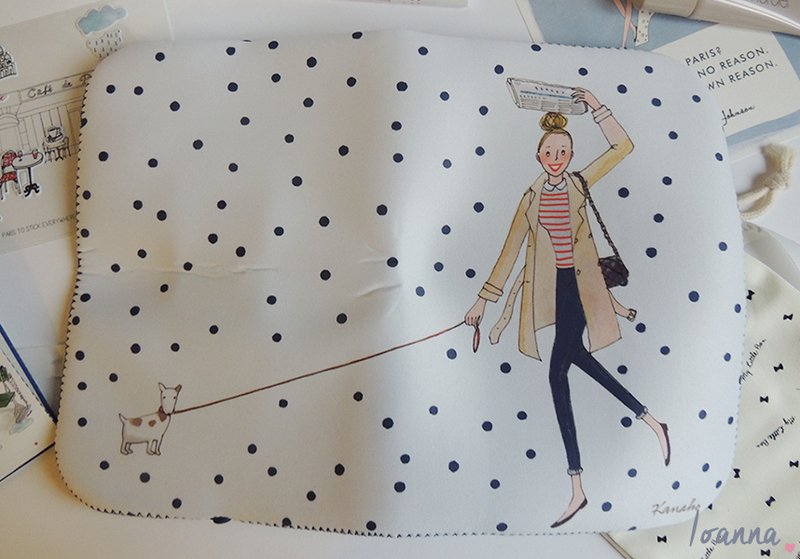 The arrival of this box yesterday literally made my day and I couldn’t wait to share the contents of my box with you – it’s all just so adorable! 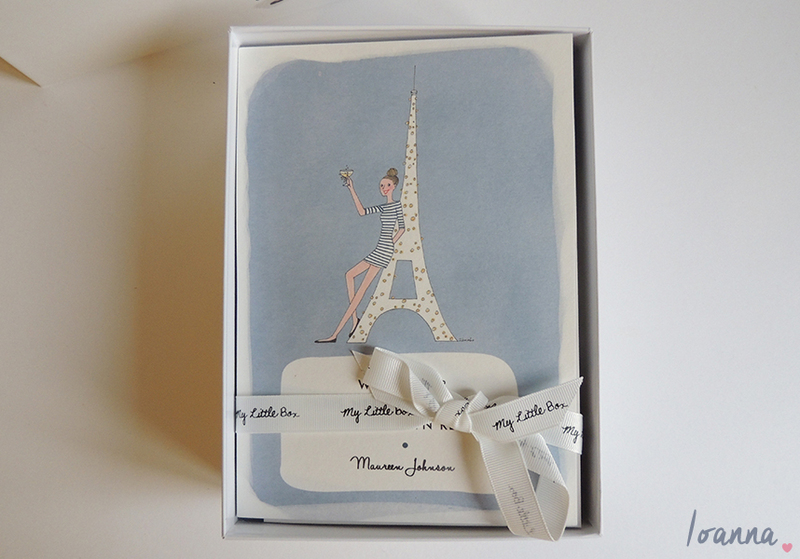 When opening My Little Parisienne Box I was blown away by the presentation of the items neatly packed inside and the box itself is of premium quality so can definitely be reused. 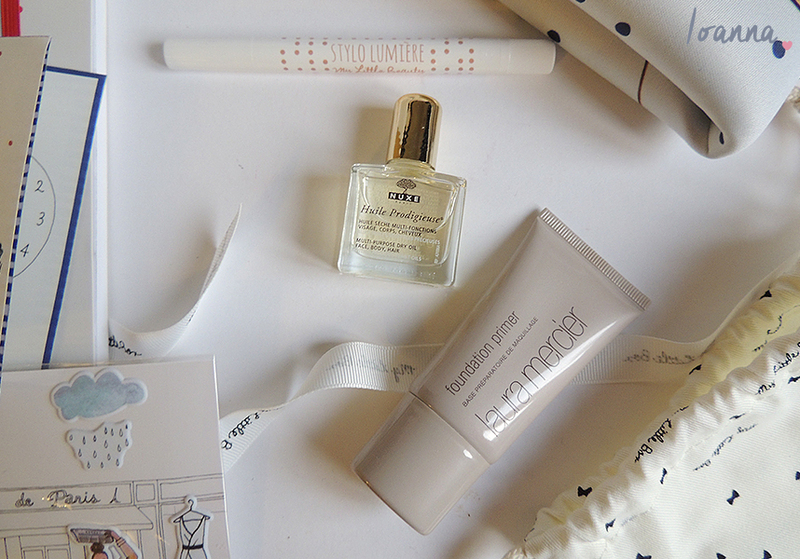 The September box contains 3 beauty samples – the Laura Mercier Foundation Primer, My Little Beauty’s Completion Lightening Pen and the Nuxe Huile Prodigieuse. The 3 beauty samples come in a generous size and I’m really excited to try all three products as they’re all new to me. 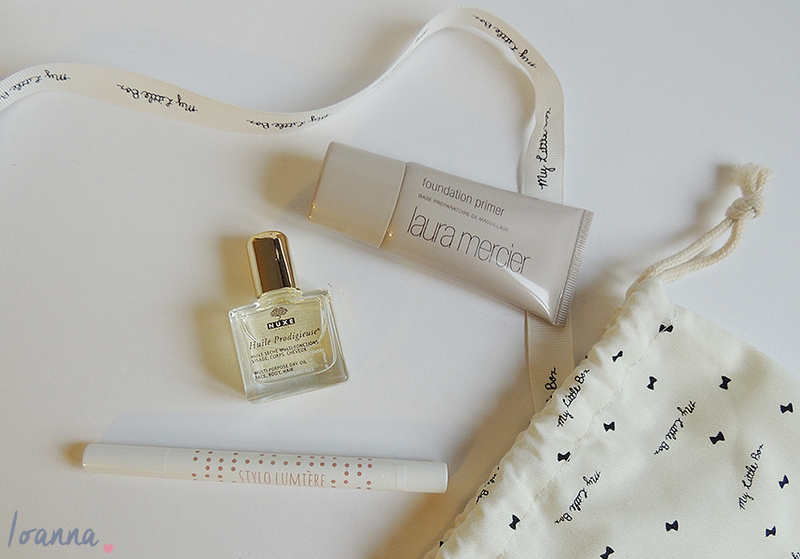 I think most people have heard of the Laura Mercier Foundation Primer, it is described as a “lightweight, creamy gel meant to be used prior to foundation, creating an invisible layer that acts as a buffer to outside elements. 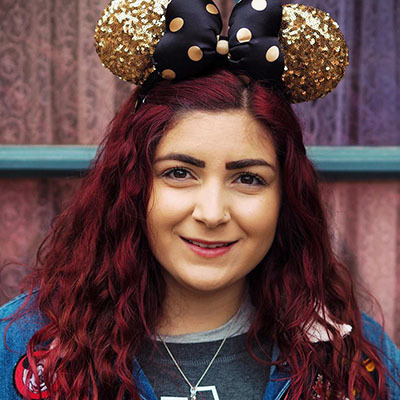 Leaves makeup looking fresh and colour-true the entire day”. Although I have heard of this primer before I don’t know much about it so after doing some research it’s also specialised for oily, sensitive and acne prone skin types so it sounds perfect for my skin which is a combination of all of the above. I get the impression that a little will go a long way with this so I’m hoping the 30ml sample will give me at least a few months wear. The Little Beauty’s Complexion Brightening Pen can be used in multiple ways including as a foundation fixer, eye shadow primer or to boost your complexion after a long day. It sounds like this beauty pen will really come in handy and I’m pretty excited to try this sample. The Huile Prodigieuse by Nuxe is described as one of the secrets of Parisian women. This dry oil contains a combination of plant oils and vitamin E to nourish, soften and repair your face, body and hair. I gave it a sniff and it has a lovely light, fresh scent. I can’t wait to try this on my face, hair and any dry areas on my body to see what it’s capable of. 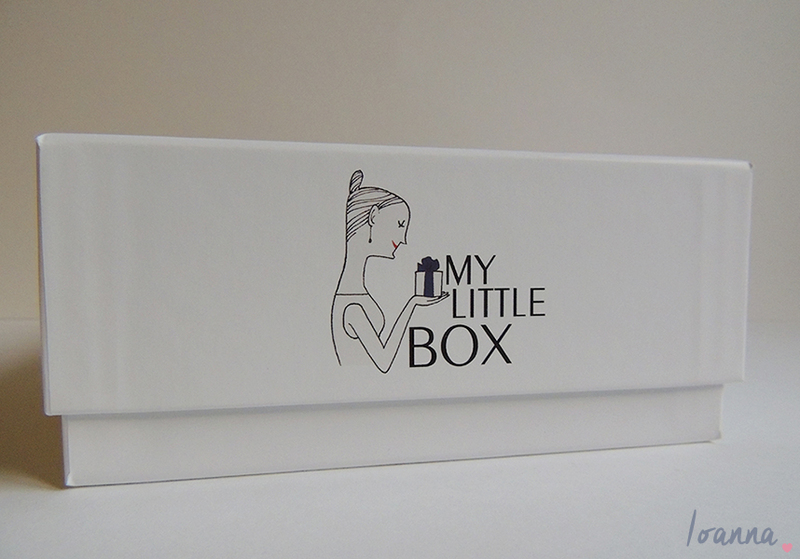 I think I’m already feeling the side effects of the My Little Box. 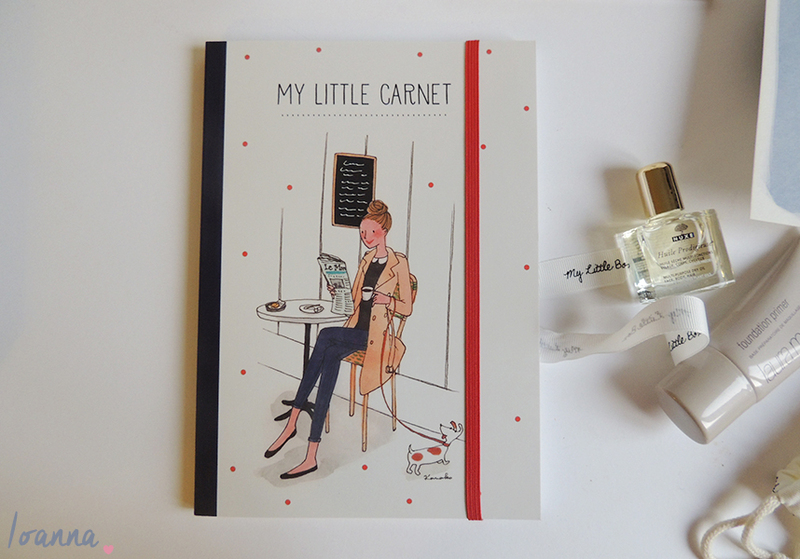 I’m completely smitten with the cuteness, great product selections and beautiful illustrations and I think it is totally worth the £13.99 price tag. I can’t wait to see what will come in the second box!